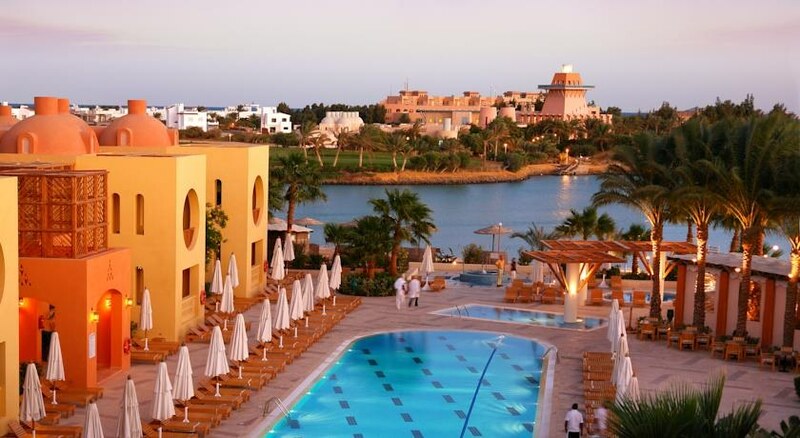 The Steigenberger Golf Resort is situated in the middle of the El Gouna USPGA approved championship golf course. 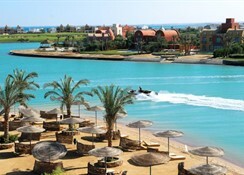 El Gouna is an exclusive new tourist destination on the Red Sea, often called the Riviera of the Red Sea or Little Venice of the Red Sea. The Steigenberger Golf Resort, designed by the American star architect Michael Graves, expresses the mixture of the modern architecture with the reflection of the regional tradition. 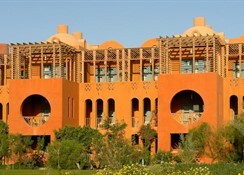 Steigenberger Golf Resort – El Gouna offers to its esteemed guests a wide range of activities, services and facilities. Recreational Facilities are 18-hole USPGA Championship Golf Course, 2 heated swimming pool, 1 heated kiddy pool, children playground. Beach volleyball, speedball, boccia, badminton, pedalo and canoe, free access to gym, steam bath and sauna at the El Gouna Golf and Fitness Club. Lagoon beach at the hotel. 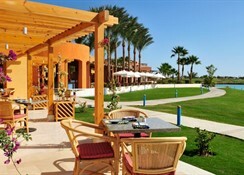 Private beach on the Red Sea (free transfer). 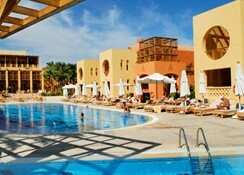 Lagoon Beach Aqua Center offering all water sports activities (banana boat, tube ride, surfing...etc.). 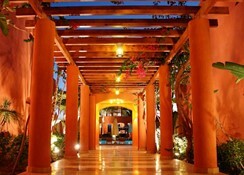 The hotel features 4 restaurants and 2 bars. The hotel features 212 well appointed guests' rooms situated in 7 buildings overlooking the golf course, lagoon, gardens or the hotel's main pool. Rooms categories include: standard rooms, superior rooms, junior suites, deluxe suites, family rooms and apartments. All rooms have private bathrooms (shower and amenities), balconies or terraces, individual air-conditioners, Mini Bar, 2 direct dial telephones, digital safe, radio, satellite television, bathrobe and hairdryer. Family rooms and apartments include a fully equipped kitchenette.